All 3,000 seats in the cavernous Palace of Culture in Bamako had been snapped up, and the mood was at fever pitch as the TV dance competition reached its climax. The three finalists took to the floor one by one, dancing alongside a celebrity -- a format familiar to viewers of talent shows around the world. But here's the difference: the three hopefuls each had to perform a traditional dance from a region of Mali that was not their own. To outsiders, the format may seem odd -- rather as if, in France, one asked a Corsican to don Breton folk clothing and do a jig. But in the landlocked Sahel state of Mali, the show has been a raging success. And it has bred a desperately-needed sense of unity in a country burdened by jihadist violence and ethnic tensions. The competition is the brainchild of dancer and choreographer Sekou Keita. Just six years ago, he was wondering how he could reverse the decline of traditional dance in Mali, a country whose music is now achieving global fame. "Our dances are so varied, we have a number of ethnic groups -- we're very lucky to have such cultural wealth," he told AFP. But the sad thing is that all of Mali's dancers have one thing in common, he said. "If you ask them to do the coupe-decale, a modern dance from Ivory Coast -- which I have nothing against, by the way -- they all know how to do it. "If they go to (Senegal's capital) Dakar, they all know how to dance the sabar," he said. "But they don't know the traditional dances of their own country." From this came his idea for a program that explored ancient cultural roots and built bridges across ethnic divides -- Faso Don or Dances of the Country in the Bambara language. Over six weeks, TV audiences shared the fate of eight young men and women from different regions, who shared a house Big Brother-style in Bamako, the capital. Each week they performed before an audience and the TV cameras, their numbers progressively falling as a competitor was eliminated by a vote by the public and the jury -- a device familiar to lovers of Britain's Strictly Come Dancing or its US spin-off, Dancing with the Stars. The final took place last weekend before an audience exhilarated by the ground-breaking, cross-cultural performances. 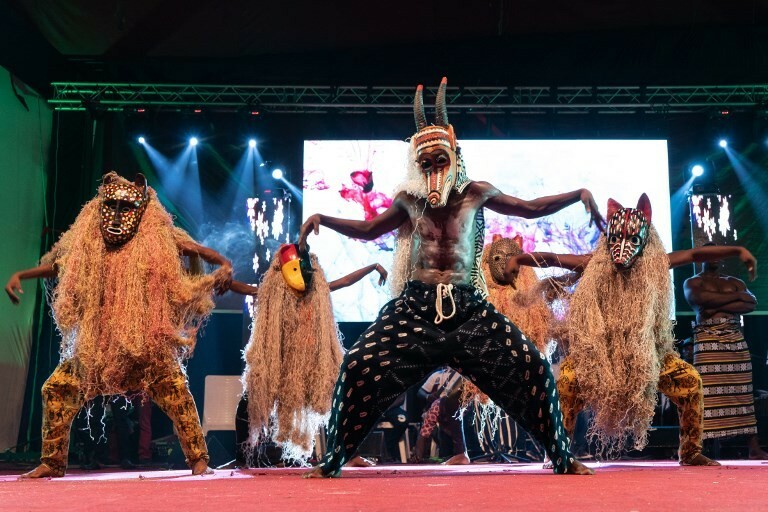 Dressed in traditional costumes, the finalists performed one dance from their region and one from another region, accompanied by Malian stars such as musician Bassekou Kouyate and singers Habib Koite and Oumou Sangare. Among the finalists was Mohamed Kassogue, a member of the Dogon group who hails from the central region of Mopti. His dream of dancing initially sparked a skeptical response from his family but in the end, Billy Elliot-style, their resistance crumbled and they became a source of "huge support and pride in me," he said. "They always call me to congratulate me," Kassogue said. "They now see that dancing is useful, it's not something bad." Kassogue, who donned dramatic masks for one of his dances, ended up coming second. The winner was Rokia Diallo, a woman from the Fulani pastoral community in Sikasso, southern Mali. Dressed in a flowing gown and a veil, she interpreted the takamba, a sinuous, sensuous dance from the Songhai group in the far north of the country. "It's the first time I've seen something like this," said hip-hop dancer Oumar Tamboura, who had come to support a relative who was also one of the finalists. "Until now, people weren't interested in folk dance, tradition and costumes." Faso Don has not just revived interest in generations-old regional dances in Mali. It has also reinforced mutual respect in a country whose reputation for hospitality is tragically being supplanted by one for violence. The eighth largest country in Africa and one of the poorest in the world, Mali is a sprawling state whose external borders were defined by the French colonial era, often cutting communities in two. It has around 20 ethnic groups, ranging from Arabs to the Bambara and the Songhai, each drawing on their own language and customs. Six years ago, problems flared when Tuareg separatists in northern Mali staged an uprising which jihadists then exploited to take over key cities. The extremists were routed in a French-led military operation in 2013 but large stretches of the country remain out of control. Chronic instability has inflamed competition for resources, especially between Fulani pastoralists and Dogon farmers in the center of the country. Across the country, around 600 civilians have died in "inter-communal violence" since the start of the year, according to UN figures.